The Question of Belief lies in its etymology, for to believe is to “be love.” Brands and love, in a foundational strategy, suggest and intertwinement of passion, enchantment and embracement. There is love and passion in the making and the makers of brands — and so too, the reflectivity that is shared in community members and experiencers. What if your brand is about a cause — love would drive that cause-based passion? What if your brand is humanity — would you love your community? 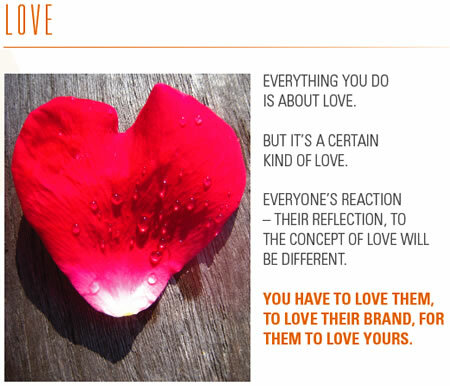 What if your real messaging reach is love? 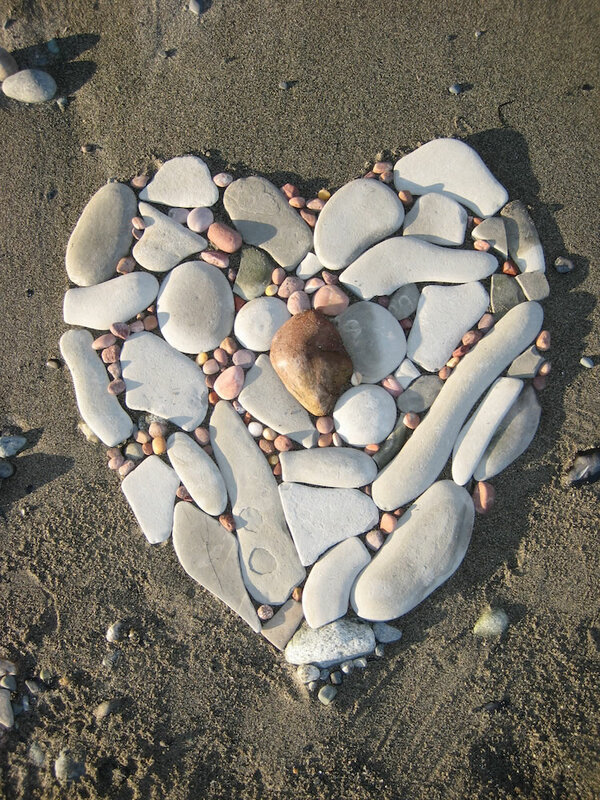 Like so many stones, solid ideas on a foundation of millions of granular conversations, they could all assemble some visible core message — that might take a sky-bound and earthward view to grasp in its entirety. 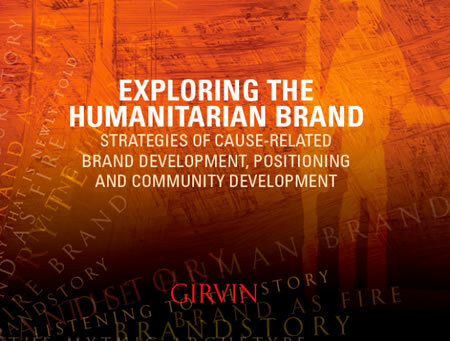 This is an overview of Girvin’s strategic thinking about the nature of humanitarian and cause-related branding strategy and tactics. There have been a series of talks and presentations offered that reach to this place of marketing, over the course of the last several years. 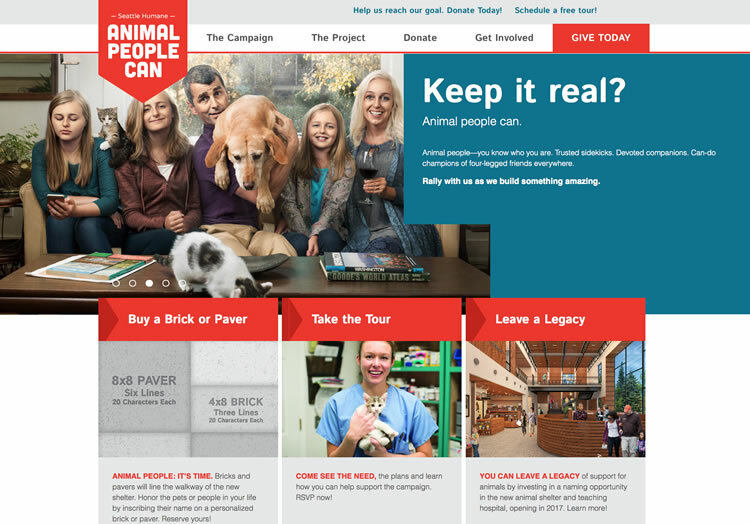 Girvin, the firm, has been working on a layering of messaging and image development programs for cause marketing that have had both local and international applications. There are fundamentals to the premise of the cause, the humanitarian agenda and marketing and it comes down to this — the story, the embrace, the human and finally, most importantly, love. 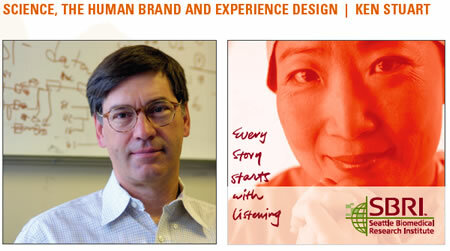 Human brands: every brand begins with a human. The idea of love is about the furthest and most impactive level of compassion in relationship development. It is the ultimate sharing. The key to this connection gestures to resonance and relevance. To love, there is the sound of alignment — a note of familiarity is heard and sensed; and relevance is the relating, the carrying over of one to another — bringing something from one place to another. The beauty emerges in the sound, the quality of the symphony of connectedness — relationships are simply that: relation. Relating, too, connects to story — relating a story. What of human? Human, the earth. From the latest iteration of the use, around1250, from Medieval French — humain“of or belonging to man,” from the Latin humanus, probably related to homo (gen. hominis) “man”. But there’s an added level, reaching back — humus “earth,” on notion of “earthly beings,” as opposed to the gods (cf. Hebrew adam “man,” from adamah “ground”). Cognately derived with Old Lithuanian zmuo (acc. zmuni) “man, male person.” To the first record of “humankind” documented from 1645. “Humanoid” (1918) is a hybrid of Latin humanus and Greek -oeides“like,” from eidos “form, shape” (see -oid). That earthly connection is meaningful — it’s a foundational sentience, from which we began, from whence we come. And what of cause? From the Latin, causa — it’s about cause, reason, a judicial process. 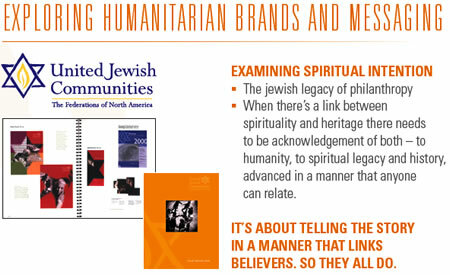 The idea of a link between the humanitarian and the sense of process aligns the earthly and intellectually reasonable. And therein lies the strategy — a bridge between foundation, the earth, beneath, the human arising and what action is followed in the dreaming that arises. The distinct link is that sense of bridging — the search for meaning, the seeking of direction, the sharing of compassion — the acknowledgment of pain — and the quest for spreading the word, and the worldly, in embracing others. But that layering is — to metaphor — an unfolding, explication, or explanation, is a kind of unwrapping; a package, a story is made, and gradually revealed in the sentiment. 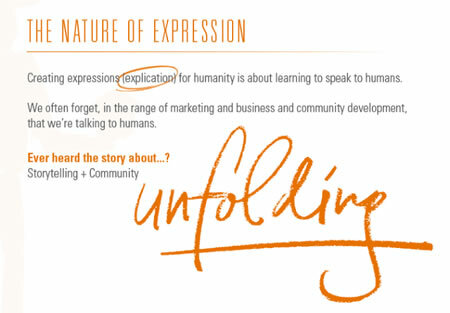 Story is the best bridge in virtually any connection — human to human, human to brand, brand to human; and surely, causal intimation to connectivity a gesture in outreach from humanitarian concerns. What that really comes to is how people — how we — explore and understand time, place and the relationship to other souls and our time on earth. 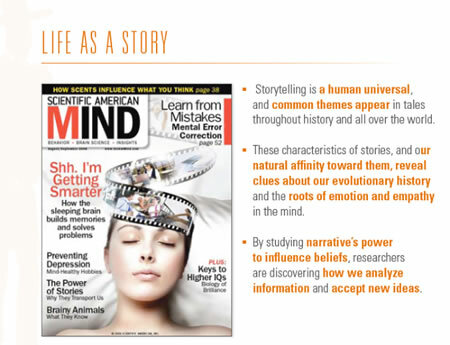 Importantly, it is about reflection — that is, one story is your story, another story is shared; and the energy grows and spreads, from person to person. A beautiful thing. My story is your story. You tell me your story, it becomes mine. And so it goes. 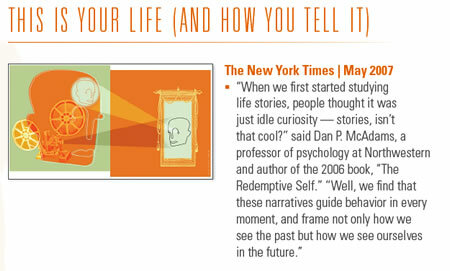 The curious positioning is that people tend to think of their lives in a string of experiences — not facts, but stories. Large stories — bigger, mythic movements — and smaller cycles of stories, and micro-movements of telling. Of relating. Of carrying — passing to another. And that carrying is something that we move forward — the valuables of our lives — moving ahead in the advancement of our sensing of experience. This is your life, and how you tell it. There’s more to it, the science of mind — and mind fullness, the beauty of how the sentience of our experience is framed, recalled, celebrated, cherished. While I’m certain that many people are thinking — “geesh, I’ve heard that from you, all that story stuff”. But for me, this exploration, it’s not done, and it’s never going to be done. Given the power of the experience, and the continuing explorations of storytelling — it doesn’t stop, nor does the relevance subsume in time. It’s a mythic cycle; it’s a continuing journey; it’s a quest. And either you, your brand, your cause, has a quest, or it’s merely sitting still, hoping for something to arrive. But in the character of this level of story-told — tale telling — there needs to be a strategy of rippling. Stories ripple out — but so does the person, the legends spread, and finally, the brand itself. 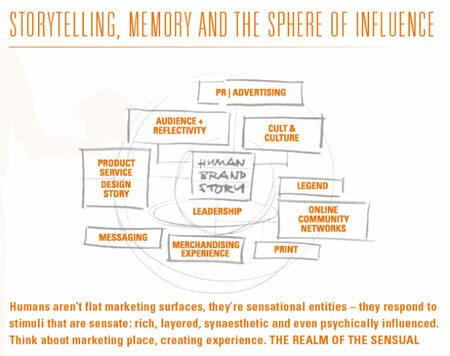 Think of a structuring, in exploring the idea of the hybrid marketing of your causal enterprise; what’s at the center, what drives the spirit of the organization; and finally how does each relate? They should be, hopefully, the same — yet more tuned to each level of message. For example: establish a thread message, then tune the levels of that message so they become integrated, yet prismatic of the central thematic intention. But in this sentiment — it is just that: sense — a causal relationship between the messaging, the imagery and how that might actually feel. Feeling is where memory is stirred, embraced and held in the psychic space of experience. Brand is place. 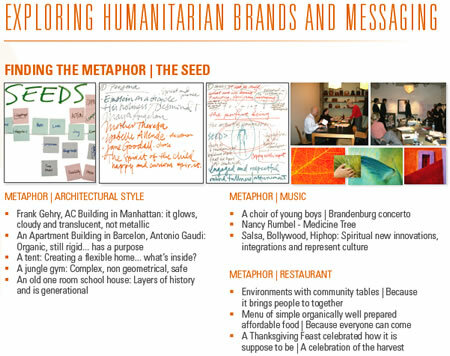 And humanitarian brand development is fundamentally about feeling — emotion, the movement of humankind — are captivated, magnetized in that sensation. There is a subconscious attribute to everything we do — how we see, how we are seen, how we present ourselves, the language of our bodies and expressions. 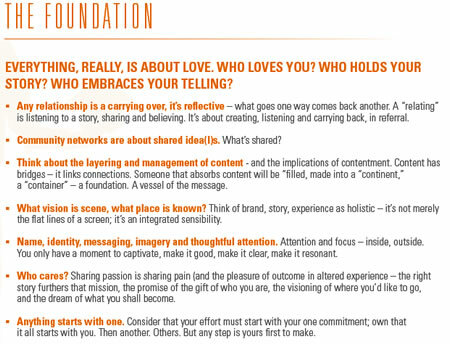 So in building any grouping of messages, creating the foundation of your branding mission — your promise — what drives you, what drives others and what drives your organization? Finally, if there are drivers that empower the character of your brand, the fundamental challenge is about care. Literally, who does? Who cares? Knowing your audience, whereby simple interceptions, engagement and deeper research studies will help, it’s really about starting with the one — one person, then another, then a group, then dozens in a larger sense of embrace in exploration. Moving in, moving deeper, there are approaches for how you examine the patterning of how people connect; and what’s the deeper sensation of your mission. Your mission is merely your promise — they are etymologically reflective. To depth — there’s more; in how the mind works, how people recognize traits, trends, instincts and relationships — and to that, brands. This is where the metaphor — strategically, tactically — links to human mind and emotion. 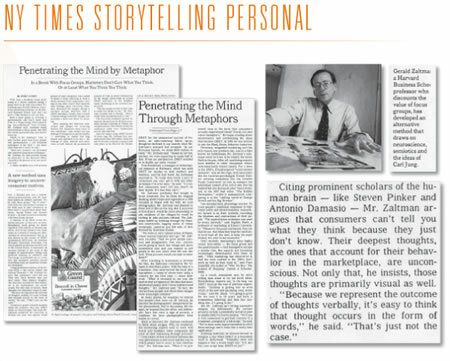 Surely, some people can articulately write their impressions — while others, reaching into the subconscious sensation of experience (and brand, causal or otherwise) can find a relating to a story and a quest for experience in relevance. Zaltman, an anthropologist who’s developed a trademark offering – to research, that’s worth exploring. My involvement with Zaltman’s examinations are through our efforts with Procter & Gamble and new product development and innovations. More on that front, here. Stance. What is the stance — the standard — of your organization? The concept of standing goes back to the beginning — the notion of the human and the earth; what’s the ground that you stand on, and more so, to questioning — what do you stand for? The real point, to comprehending accessibility is the directed level in the way in which people grasp your message. 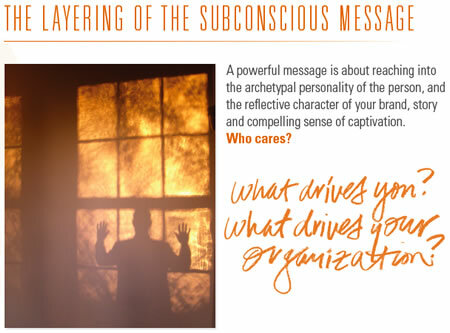 How are your messages arrayed — how simply are they understood? This mapping suggests some exploration — a quick stringing of the levels, and the way, in which communications are nailed down — and expressed to the quick transit of relationship exploration of your brand expressions — in whatever medium they might be manifested. In which, to all media. How fast? Feelings. Impressions. Touchpoints. What’s the instinctual way in which people touch you? How do they gather a sense of your enterprise — in many ways? Are each evaluated? Are the messages comprehensible — threaded? Consider the meaning that’s suggested in each of the message — for me, it’s a spherical symbolism. 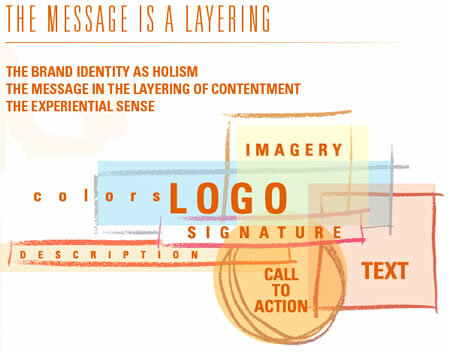 The idea of the messaging structuring will be seen — in scene — and sensed in the idea of a holistic grasp. Reading, touching, scenting, tasting, hearing, intuition, instinct, balance, memory. Wholly believable. Let’s explore some brand developments. What of the idea of trying for a message that really revolves around the logo itself, as a single opening point of messaging? Working with my youngest brother, Matt Girvin, his role at Unicef and the Chinese Ministry of Health we created a symbolic reference to ignite a movement to solving one of the great crises of modern day China. By the year 2000, through a relatively simplistic campaign of action and populace messaging, we instigated a predominantly visual campaign that could be recognized by everyone, from the lowliest country farmer, to sophisticated urban dwellers. The campaign focused on a “sunny mind” — the metaphor distinctly relating to the challenge of Iodine Deficiency Disease (IDD) — caused by the lack of iodine in the diet creating complications of “cretinism“. The iconic approach to treatment — our simple device — could be read to the leading campaign of educating all Chinese consumers on the notion of appropriately “fortified”, brightened minds. IDD was eliminated in the year 2000 in China. 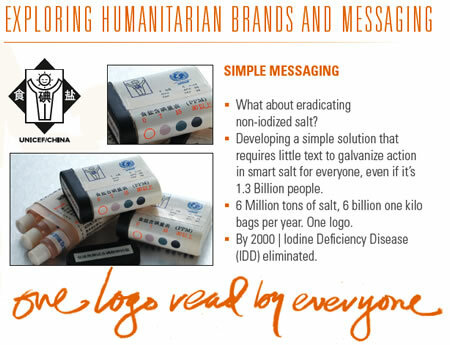 1.3 billion people, 6 billion one kilo bags of salt per year. One logo. Examining the concept of simple messaging and structuring communications, working with Richard Gere, and helping to create the Gere Foundation, we focused on delicacy — not pushing too hard; building a subtle layering of messaging, from color, identity, voice, donation structuring, quiet messaging, celebrity messaging, tools to spread the word and explore the artful capture of Gere’s remarkably striking photographic treatments. Explore, here. 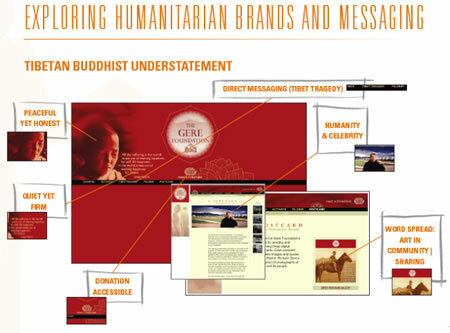 The idea is about softly implicating the character of the brand positioning, message, call to action, without aggressively overstating the case of humanitarian spirit. 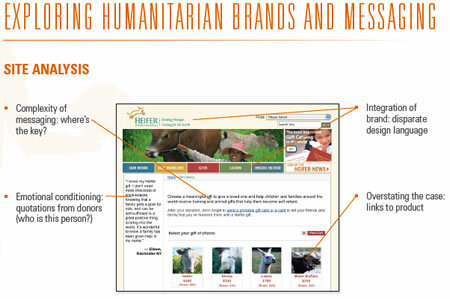 This grouping of studies relates to a scenario in which Girvin worked on the creation of a new brand strategy for Heifer International. 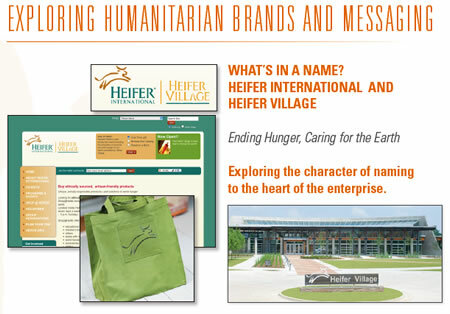 That work ranges from mission and vision development, a renewed sensation of personality and tactical attributes (why and how), strategic considerations and planning, new identity and imagery, as well as naming consulting to the nature of the newly completed Heifer Village. Importantly, the idea of treating the messaging premise is one of a holistic nature — thinking of every component as leading back to the promise of the power of that relationship. Given the challenges of the current economic climate, there’s been a shift in the site structuring — and perhaps this approach to offering, literally, the individual “here’s what you get” premise is more transactional to get the work done. Money in. Is that it? I’d venture no, to assessment. 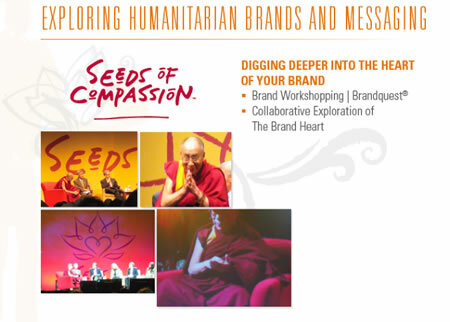 More transaction, less emotion in humanitarian brand development is not the way to go — this marketing wholly lives in the compassionate and shared space of bridging incipient and excipient communities. Girvin uses team collaboration of a group of brand colleagues to hold the promise of approach in building out alignment, empowerment, commitment and ownership in the sharing of ideas. This process is called BrandQuesting®. We have been evolving this practice for nearly 20 years. The theory is cumulative explorations of emotional and strategic intention, to build on teamwork, and what we call a cumularity of minds. What about the quest for humanity and their animal companions? 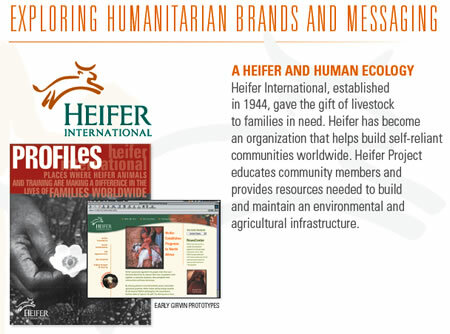 While our work with Heifer has lasting value, a story that has emerged in the last several years for GIRVIN’s team of strategists and designers relates to humans and their companions. 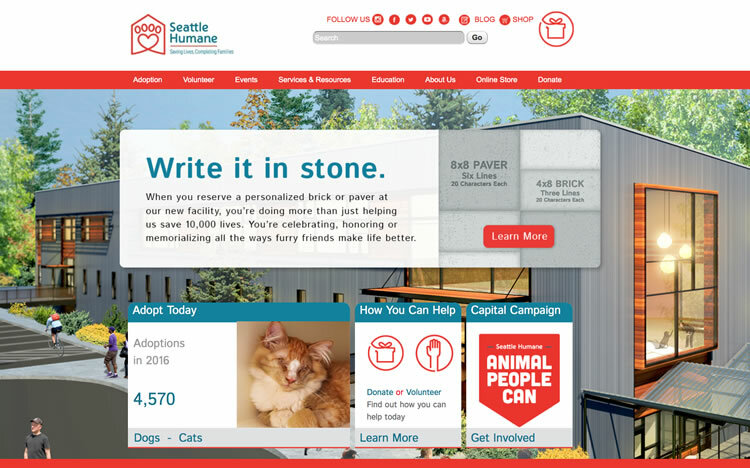 Our journey began with a string of Board encounters to build a new naming strategy for Seattle Humane — and then to build this strategic shift into a venture of enormous implications — the building of a new $30M WSU School of Veterinary Medicine | Seattle Humane Alliance facility replacing their old Eastgate headquarters and animal care and shelter facilities. 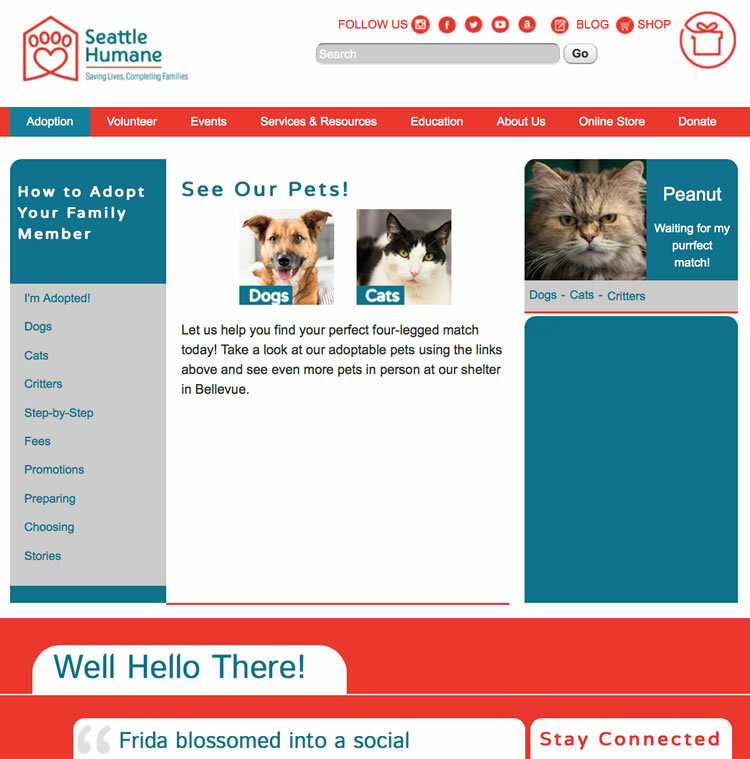 The alliance is significant What’s remarkable about this journey, from our consulting experience, is the key learning about the power of people and their animal companions — and the willingness by high level community leaders to advance vanguard efforts to build an ever-increasing and empowered community of contributors Hundreds of volunteers dedicate their time to Seattle Humane and, at this point, millions of dollars have been raised in various capitol campaigns to support construction on the facility, which was initiated in 2016. That led to identity, collateral systems and website design and programming. 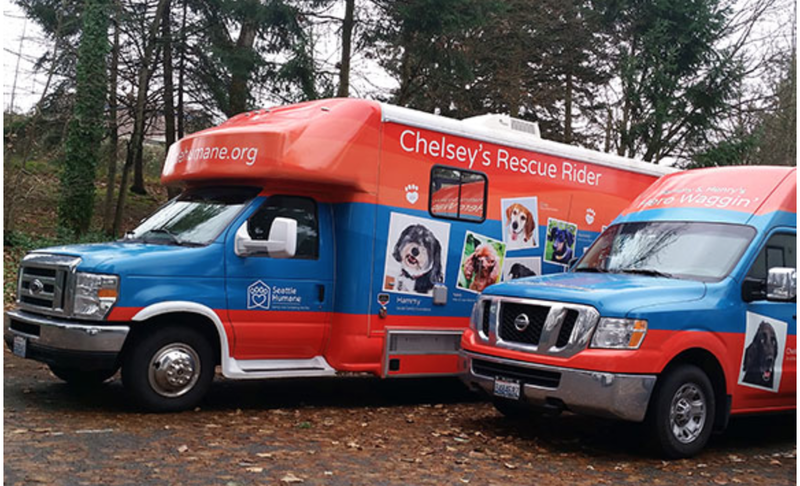 We took that context and framed it out as a string of veterinary vehicle wraps for medical care and transport. This notion of accumulation is founded on the metaphor of clouds, literally: cumulus. By leading, moderating, facilitating and developing this approach to brandstorming, we can create alignments in brand, story and strategy that offers a unique balance between the concept of leadership coaching, marketing and business planning and the messaging and visual outcomes that will create results. 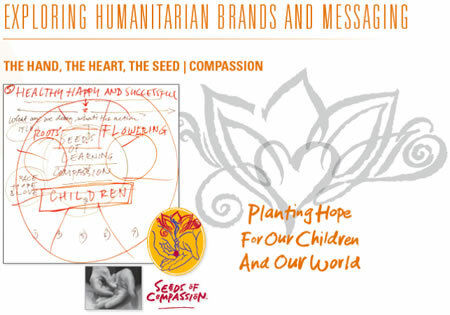 Working with the Kirlin founder, Dan Kranzler and a tactical team on the creation of the Seeds of Compassion brand, an inspiration emerged in the session, the foundation of the “seed” metaphor that built the premise of the thinking of the event itself. 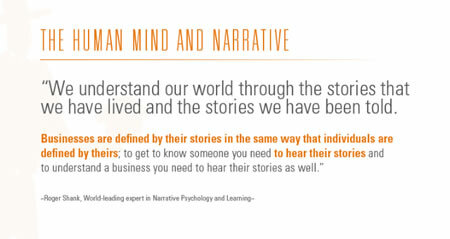 Workshops are custom designed to dig deep, considering the strategic unfolding of brand, story and messaging. This notation of spirituality — the power of the human spirit — it goes back to the center, and indeed, the ideas that we explored in the beginning of this overview. But in some attributes of spiritual dimension, it’s critical to build communications that are “relatable” that is — people, regardless of their spiritual heritage, might be willing to explore the thinking of the organization. 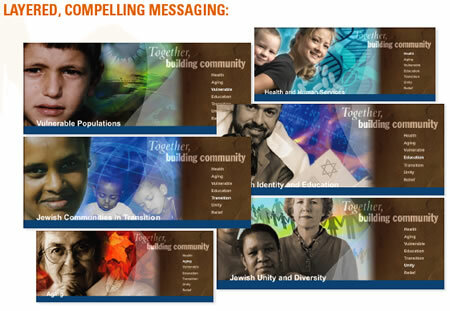 Working with the United Jewish Communities, Girvin created an identity program and messaging structure to support a foundation of Jewish legacy, yet at the same time, reaching to others, as you might note in the current site modeling and message. 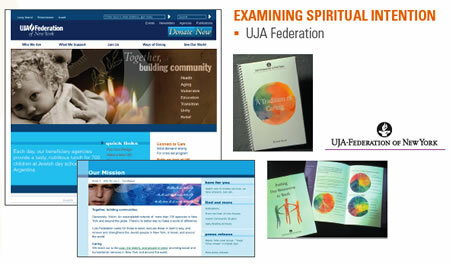 In our work with the UJA Federation, a similar communication modeling emerged, in all layers of expression. each level of the site reaches to creating another form of message. Touch here, and there’s another component of communication, an attractive amalgam of text, photography and emotional negotiation. 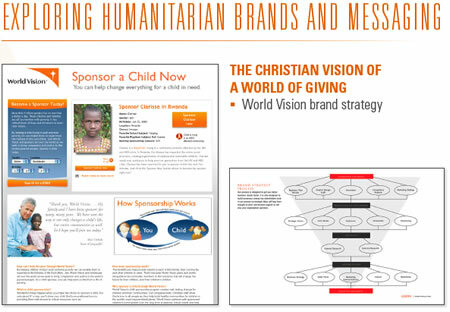 Working early on with World Vision, the function of our work was about strategy and intentionality — working into the inside of the organization, at the highest level — then creating an approach that was about direct and immediate outreach at the emotional level. Simple: Sponsor a Child Now. Not loud. But predominant in everything that is communicated. There’s been extensive discussion about the idea of the human brand. 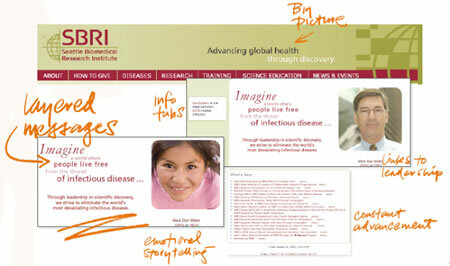 And Girvin has been focused on this attribute of communication experience and brand management for decades. People are everything. 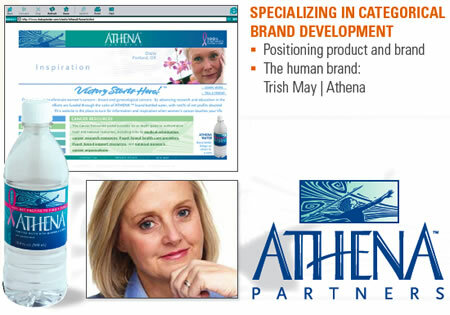 Working with Trish May, Girvin explored strategy, story, positioning and naming support — and packaging — for the founder of the brand. There’s more to the story, here. This human component figures prominently in other references — organizations for which a single leader exemplifies the brand, for example Ken Stuart — suggests a path in which leadership visioning is supported by a team and an organization, to build a path of messaging and visualization that is holistic, even to the point of creating environments. This branding positioning not only relates to the issues of storytelling in the spirit of science and biomedical research, but as well, the notions of placemaking in explaining the depth of the brand experience strategy. 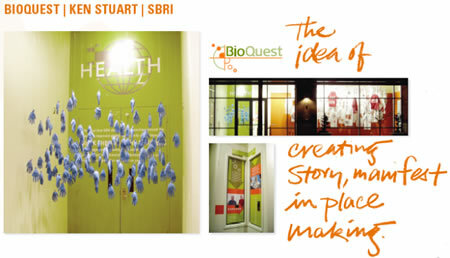 Girvin’s original launch design, for the creation of BioQuest, a key storytelling and presentation experience portal to the overall spirit of the SBRI brand. 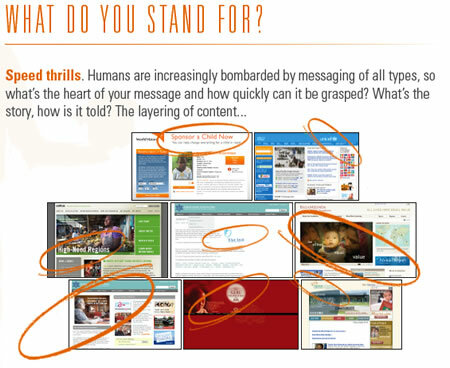 This selfsame messaging extends to website, and you’ll note below, the structuring shows an analyses of messaging and imagery to relate to the construct of the framing of the brand strategy and the outcomes. 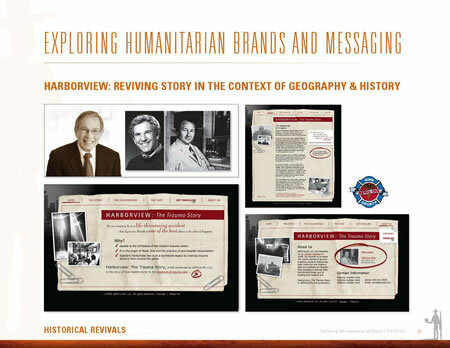 Here too, the benefits of the cumulative exploration of Girvin’s BrandQuest® methodology in building aligned leadership and community messaging. 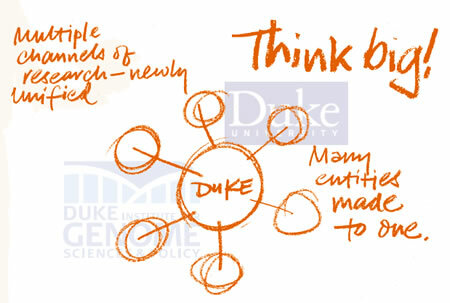 Larger scientific initiatives can be more comprehensive in building plans that relate to holistic conjoining of multiple scientific programs, like Duke’s efforts in building one of the most powerful genetic research groups in the world. 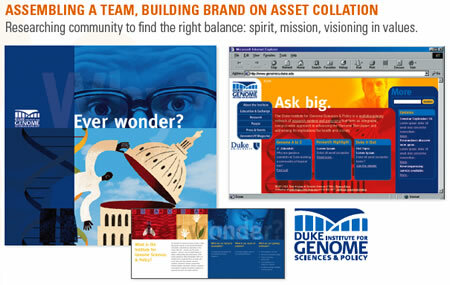 That concept of brand unification was envisioned by Dr. Huntington Willard, and Girvin’s team met with a circle of scientists, leaders of various genomic exploration groups, to unite them under the aegis of a single cause, Duke’s Institute for Genome Science & Policy. Girvin created the master branding document, as well as the opening website launch, campaign and visual materials in the form of collateral. 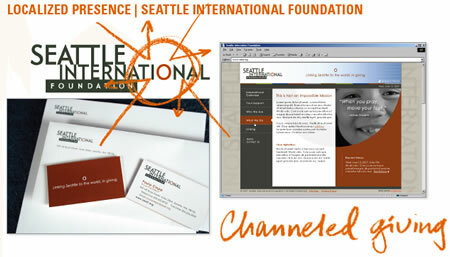 This conception of positioning assets — in this case, donation based channeling for the Pacific Northwest — is the fundamental imperative of The Seattle International Foundation. In this expression, to visual brand alignment, the modeling of the site components relate conceptually to the logotype of the organization, shifting to varying imagery and messages that relate to the group’s efforts — all based on the circle, the o, the ring portal. 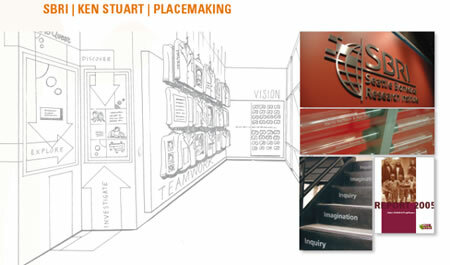 Girvin’s team worked directly with the founders, Bill and Paula Clapp, to initiate the strategy of the organization, the identity program and visual components. Even the concept of story could be considered in the relationship of reviving legacy in the case of historical heritage — in this case, the creation of a website and video series that relates to the significant character of emergency care innovation — no, the invention of it — in Seattle’s Harborview Hospital. I’ve outlined some conclusions below, that suggest a parting shot at the summary of our references in experience. And what could be your experience, in evolving the structuring of your brand, your story, your cause related marketing power, and finally the humanitarian branding initiatives of the future. t i m | GIRVINATLANTA, GA.